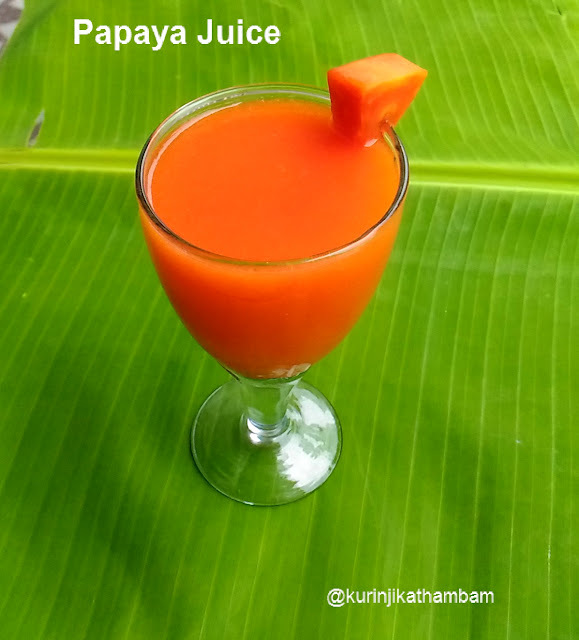 Papaya fruit is a super food full of goodness and healthy nutrients. But unfortunately it will be the last fruit most people would like to have directly like my hubby. Papaya juice is the best way to make them have papaya. 1. 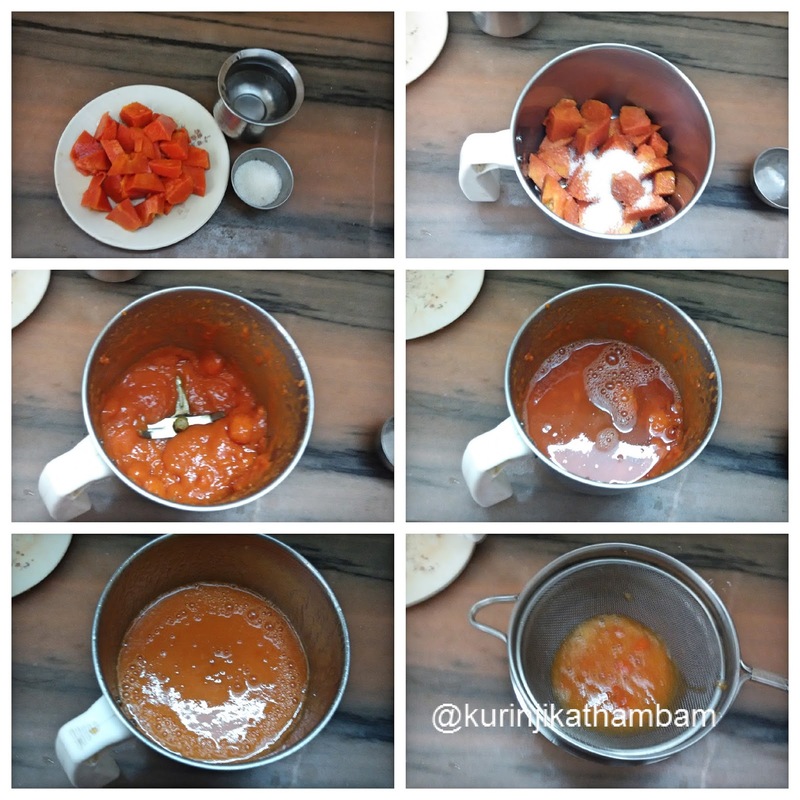 Remove the skin and seeds of the papaya. Cut it into small cubes. 2. 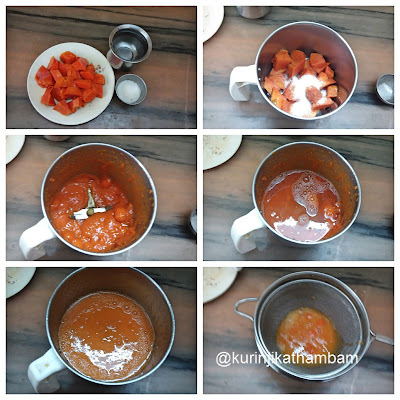 Add the papaya cubes and sugar in a mixie jar. 3. Grind them into a smooth paste. Then add little water and again grind them into a fine paste. 4. Strain this mixture using the juice strainer. Then add enough water to bring it into juice consistency. 5. Healthy juice is ready to serve. You can chill it in a refrigerator or have it immediately. 1. Addition of water level is your choice. 2. Instead of sugar you can add honey or brown sugar or palm sugar.